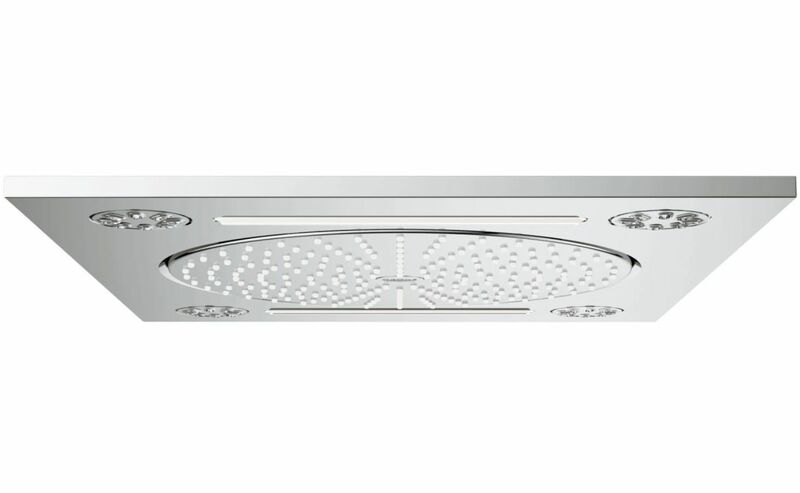 The Grohe Rainshower F-Series 3 Spray Ceiling Shower has a flat panel, geometric design that can be embedded seamlessly into the surrounding environment. It comes with 3 different spray patterns for gentle revitalization – the classic, wide Rain Spray, a stress-reducing massage using the integrated Bokoma Spray or a double refreshing XL Waterfall spray famously seen in luxurious saunas. It is skillfully crafted from high quality metal which makes it durable while the rich chrome finish gives it a sleek and streamlined look. It incorporates the DreamSpray technology, delivering a powerful and evenly dispersed water flow. 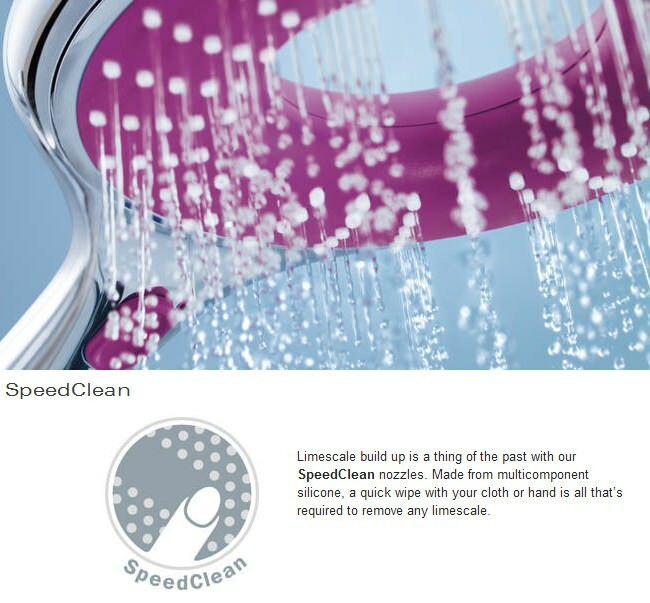 The SpeedClean feature allows you to remove the limescale deposit with a simple wipe clean approach. 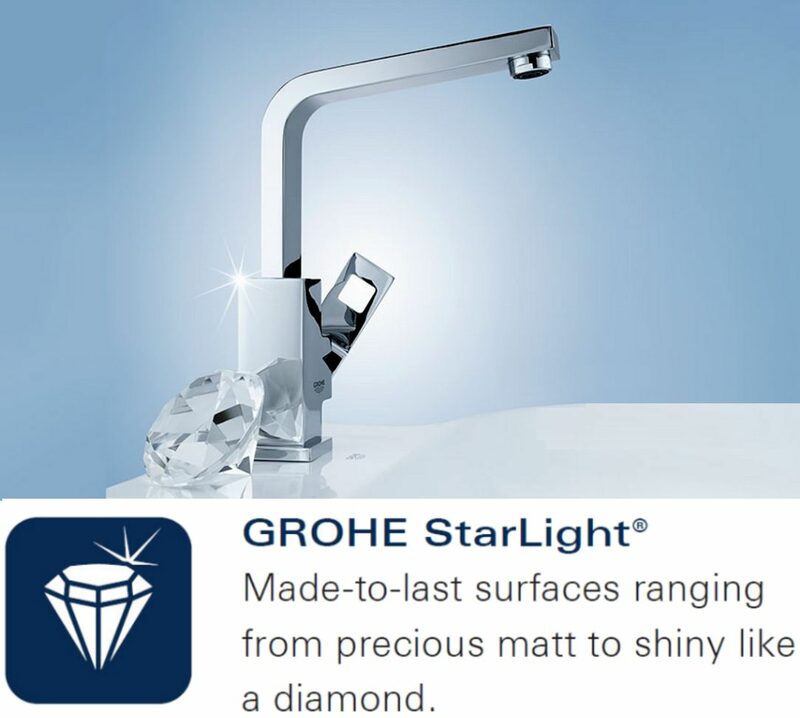 What Is GROHE XL Waterfall? The XL Waterfall feature plays a vital role in giving you a luxurious sauna-like experience in the shower. 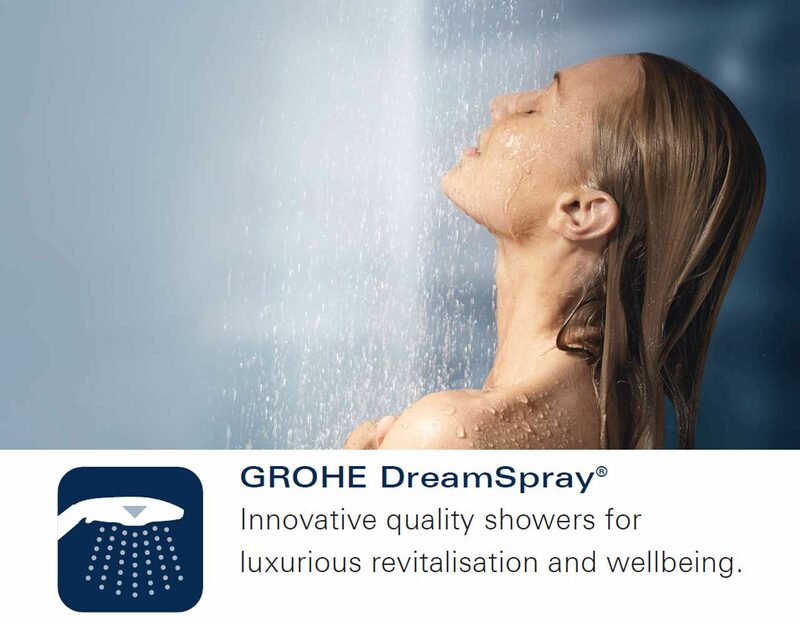 A fine example of German precision engineering, the double refreshing XL Waterfall spray comes built into head and ceiling showers in the Rainshower series. 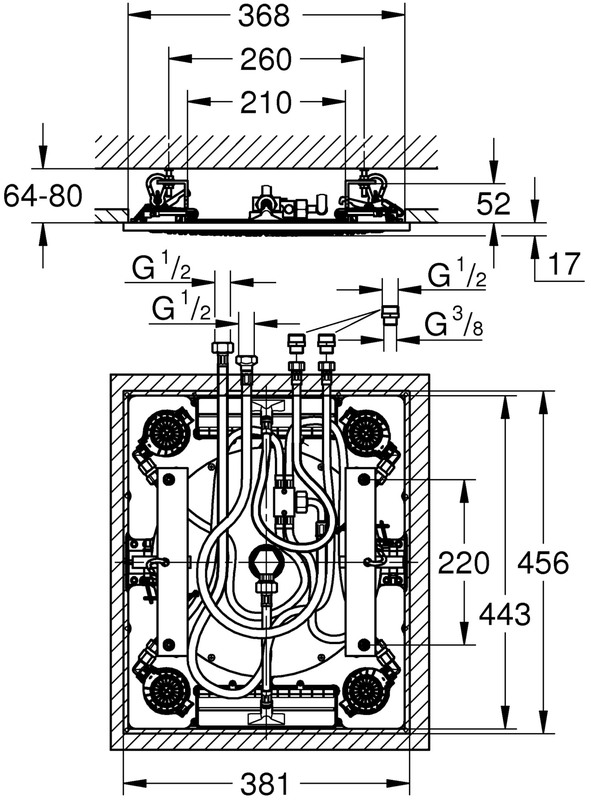 XL Spray features two extra large converging walls of water that offers powerful delivery of water.